How many times in your life have u met your lucky person? And how many times have we ourselves been someone else’s lucky person? 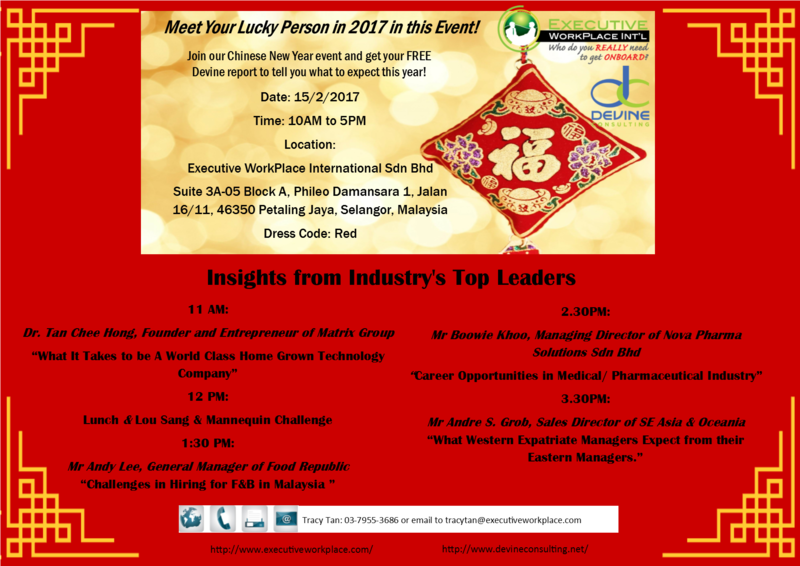 Join our Chinese New Year event and you will find your lucky person here! 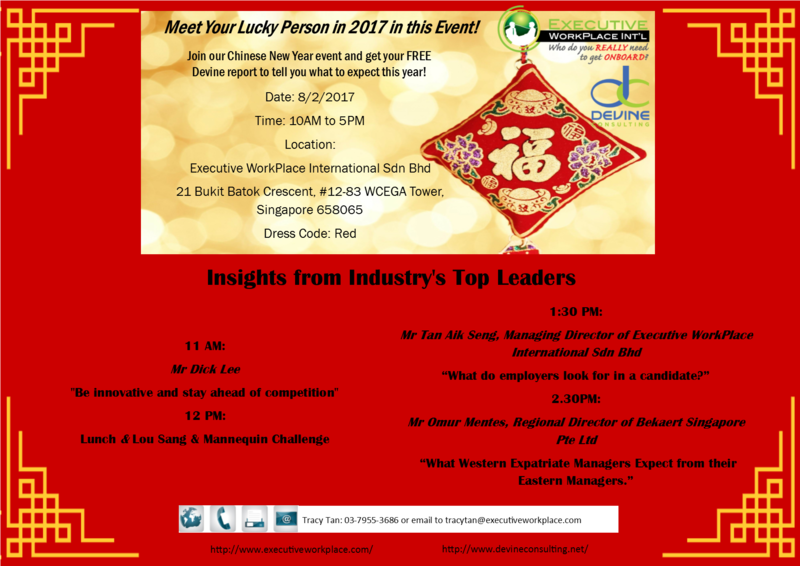 For more information, please contact Tracy Tan +603-7955-3686 or email to tracytan@executiveworkplace.com / jezs@executiveworkplace.com for more details.